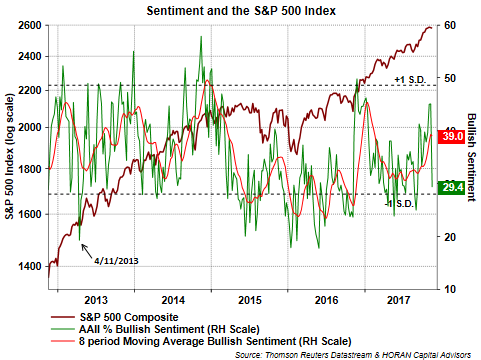 HORAN Capital Advisors Blog: Are Bearish Investor Sentiment Responses Translating Into Actual Action? In this week's American Association of Individual Investors' Sentiment Survey, bullish sentiment fell 15.8 percentage points to 29.4%. This was the largest weekly decline since the bullish sentiment reading fell 16.2 percentage points in April of 2013. 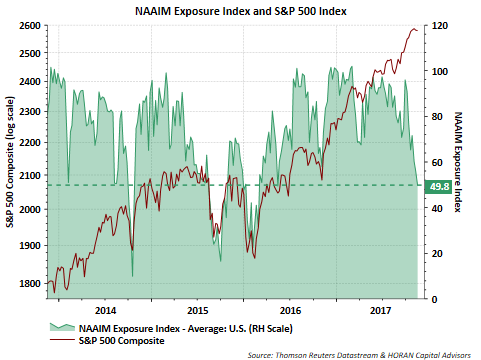 The NAAIM Exposure Index is indicating a less bullish posture by active investment managers as well. As noted by NAAIM, the index "provides insight into the actual adjustments active risk managers have made to client accounts over the past two weeks." Although markets remain near all time highs, investor sentiment has become significantly less bullish and possibly beginning to be reflected in fund flows. Thomson Reuters Lipper notes weekly flows into domestic equities have turned negative with money market and municipal bond funds generating positive inflows. 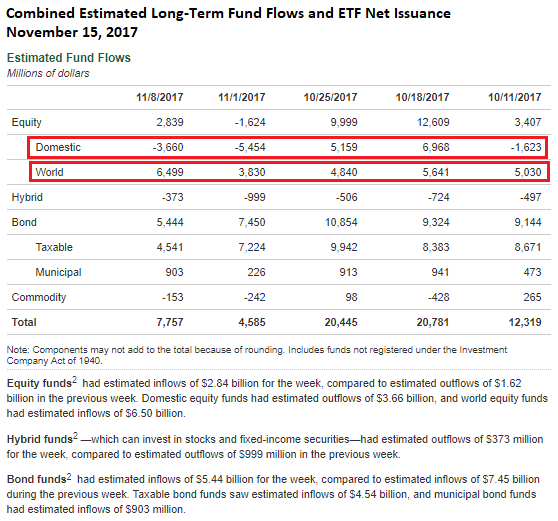 "The net-positive flows [including both mutual funds and ETFs] stemmed from money market funds (+$2.7 billion) and municipal bond funds (+$418 million), while taxable bond funds (-$1.9 billion) and equity funds (-$240 million) both saw net money leave their coffers." 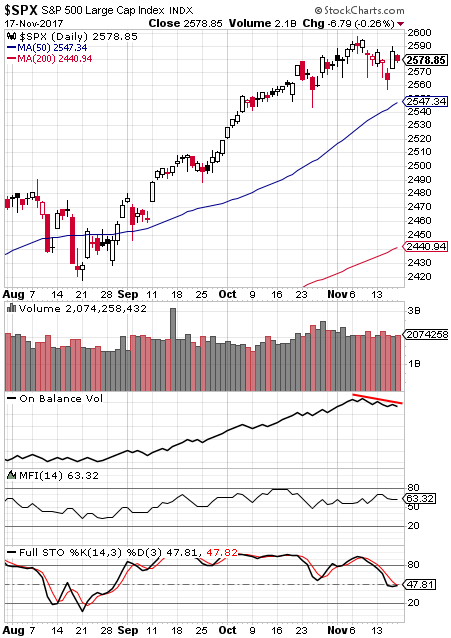 One market area continuing to show positive inflows and rewarding investors from a performance perspective is international equity markets. The below flow table from ICI details weekly flows across the various asset classes. In spite of a very limited decline in equity markets, investor sentiment is at a level where one might say investors remain on edge. Historically, significant market pullbacks do not occur when investor positioning is correct and raises the question whether ones sentiment responses are translating into actual investment action.